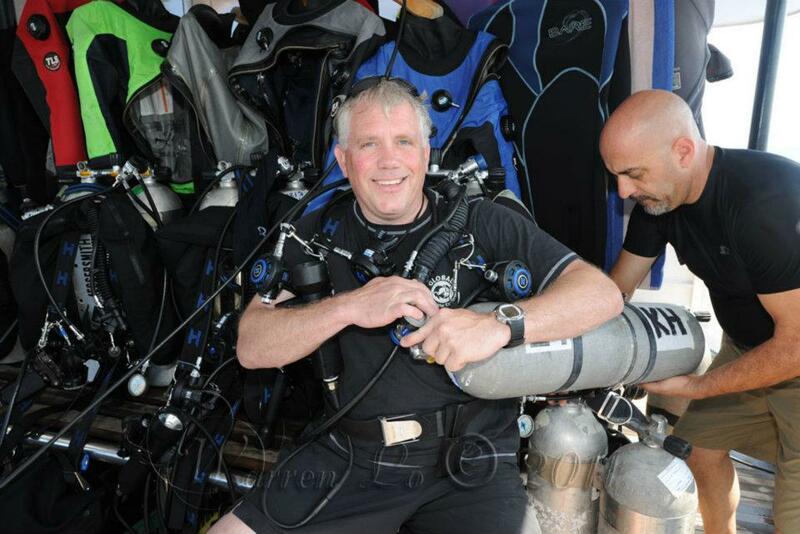 GUE’s Technical Diver Level 1 (Tech 1) course is structured to prepare divers for the rigors of technical diving and to familiarize them with the use of different breathing and decompression mixtures. Tech 1 training focuses on expanding the fundamental skills learned in the GUE Fundamentals course (or elsewhere), and is designed to cultivate, integrate, and expand the essential skills required for safe technical diving. This will include problem identification and resolution, and building the capacity for progressively more challenging diving. In this class, students will be trained in: a) the use of double tanks/cylinders and in the potential failure problems associated with them; b) the use of Nitrox for accelerated and general decompression strategies; c) the use of Helium to minimize narcosis; and d) the applications of single decompression stage diving, with respect to decompression procedures. The class will focus on nitrox and Trimix as breathing gases for dives down to 170 feet/51 meters, and provides an excellent foundation on which divers can build their technical diving experience and prepare for GUE’s Technical Diver 2 course (Tech 2). The Tech 1 class is normally conducted over a six-day period. It involves a minimum of forty hours of instruction, encompassing both classroom and in-water work. The GUE Tech 1 course involves a minimum of forty hours of instruction designed to provide a working knowledge of nitrox, normoxic and hyperoxic Trimix and decompression mixtures, including history, physics, physiology, tables, and operational considerations. Course requirements include ten hours of academics and seven dives, 4 of of which will be critical-skill dives and three will be experience dives. Initial dives will be conducted in shallow water to test diver ability and to fill in any deficits in skill levels. The last three dives are to be Trimix dives at depth for experience.